Apple is apparently in the process of acquiring another new company which will likely help boost the company in a variety of different ways. Apple has always been working hard to purchase companies that can help advance their iPhone and iPad lineups and that is exactly what this company will be great for. 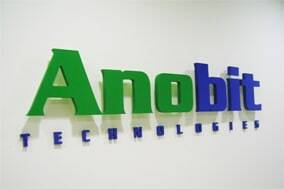 The company Apple is buying is called Anobit and they’re currently one of the leaders in flash memory chip manufacturing and design. This could be a big step forward for Apple because it will significant improve the hardware they can design and develop while also cutting cost and reducing the red tape involved. In the end this will likely help advance the iPhone and iPad quite a lot assuming Apple and Anobit actually manage to work out a solid deal, nothing has officially been announced as of this point. READ Digital cameras are dying due to iPhone 4 and iPhone 4S!